It has been said that trends come back around every 20 years. In retrospect, right now we should be reliving a rendition of the 90’s and in fact, we are! The 90’s were known for big hair, grunge styles and Doc Martens; true classics that will continue to appear in modern trends. Coincidentally, our top 3 choices just happened to be 90’s classics! Of course our number one romantic movie would have Patrick Swayze. Come on now! Just kidding, well not really. ;) Demi Moore’s pixie cut in Ghost paved the way for many women to take the leap and chop their hair! 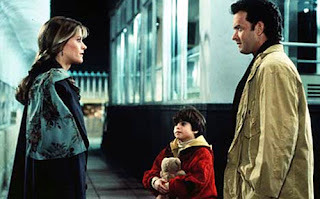 Actresses now such as Emma Watson rocks a super feminine pixie cut very similar to Moore’s in Ghost. From prostitute to princess Richard Gere transformed Julia Roberts to fit right in with the elite of NYC. Julia dating Gere as strictly a business deal quickly turned into love! Julia not only had big gorgeous curls, but this was the time when her hair was that beautiful shade of auburn red! Many celebrities are now going red – look at Blake Lively, Debra Messing, Rose McGowan and Cynthia Nixon! I think that proves our point! A movie that with out fail will tug at your heart strings every time! Meg Ryan has a very simple look; wispy side bangs and textured natural waves. She also frequently wears a low French twisted braid. If you read our entry on braids, you know how we feel! Braids are back in full force! 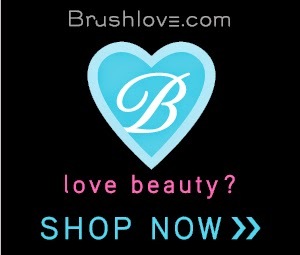 This musical romance was a milestone in the fashion and beauty industries. Olivia Newton John and John Travolta were instantly made fashion icons. Every male wanted Travolta’s “greased” hair, even to this day, most guys gel their hair. Most memorably from Grease were the Pink Ladies. 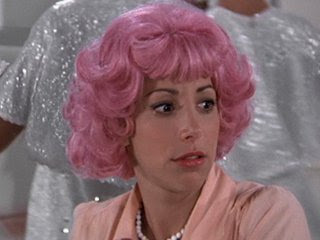 Frenchy, the “beauty school drop out” definitely made a statement with her pink hair. Today we see Glee star, Diana Argon sporting this trend really should stay in the 70’s. Another Swayze movie, no surprise here! Jennifer Grey and Patrick Swayze danced their way into everyone’s hearts with Dirty Dancing. Grey’s volumized tight curls are defiantly going to be a popular fall look; we love the relaxed texture and natural body. If you reside on the East Coast, be prepared for a weekend of hurricane with a possible mix of tornado! Let’s just hope that we don’t get another earthquake on top of all that! Stay safe indoors- we have already provided you with a list of movies to revisit. 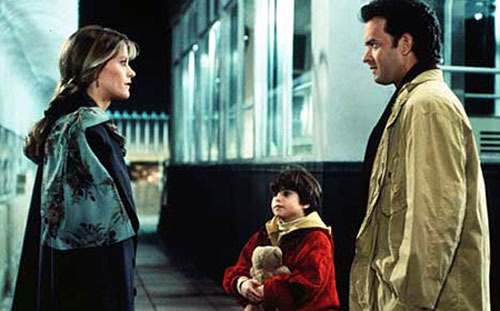 How about When Harry Met Sally? Meg had some crazy curls in that one!